So here my new Wallpaper i worked on. I tried somthing new so i hope i didnt too bad on this one. I vectored here a pic from the Naruto manga but since the pic doesnt show everything i had to remove his arm with the chidori so in the end it turned out like this. Very simple if it was added with a background i would have said very nice. 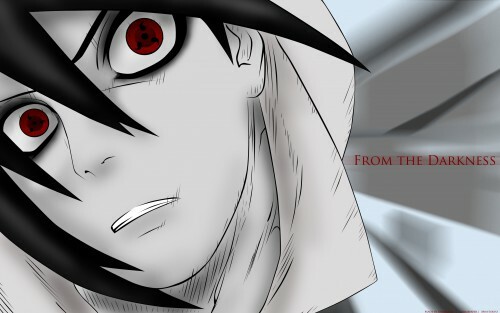 sasuke is the coolest character in naruto yeah ! he looks scary and beautfull at the same time. like a ghost. great coloring.